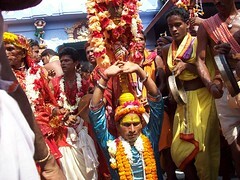 The most popular festival of Goddess Mangala is 'Jhamu Yatra'. 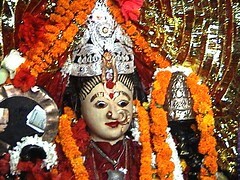 It occurs on the first Tuesday of the Secred month Vaisakh (April 14 to May 15) every year. 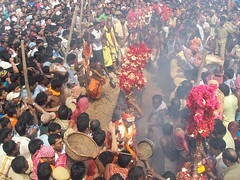 On that occasion devotees collect sacred water from river Prachi and pray the deity to get her blessings, then with the earthen pot , filled with sacred water, on their soldier, they are able to walk on the surface of burning fire spread on a long channel on bare feet. 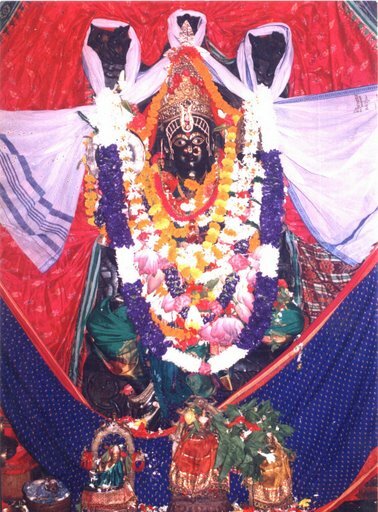 Due to their faith on Goddess Mangala and their Mother's blessing on them, the devotess are unhurt and uninjured while perferming such a risky custom. 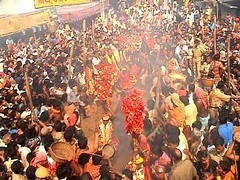 Every year thousands of devotees come to Kakatpur to celebrate the Jhamu festival.